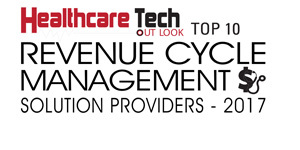 In the wake of constantly changing patient demographics and visibility issues associated with the compilation of medical information, Revenue Cycle Management (RCM) solutions have emerged as the backbone of smoothly functioning medical practices by playing an instrumental role in accelerating their revenue cycle. In addition to providing an easily-digestible overview of the provider and payer roles, RCM solutions ensure an accurate evaluation of the practice’s revenue cycle. With a vision to help medical practices optimize the entire continuum of care while maximizing revenue generation, Atlanta, GA-based MD1 delivers a comprehensive suite of advanced technology solutions and services that enhance care delivery, financial reimbursement, and clinical practice processes. From managing patient encounters to ensuring the collection of insurance reimbursement and patient responsibility payments, MD1’s RCM product suite—Revenue1—is focalized on streamlining the complicated reimbursement processes for medical group practices while allowing them to identify vulnerabilities within their business model. Revenue1 handles claims processing, denial/appeal processing, remittance processing, and payment processing/cash posting to provide improved visibility into a medical practice’s revenue cycle. “We offer full-scale practice management with Payroll, HR and benefits experience to manage all the aspects of RCM,” begins Richard Hicks, CEO & Founder of MD1. Clinical practices with an in-house billing system can leverage Revenue1 to simplify their reimbursement process, minimize insurance accounts receivable, and maximize patient collections and overall profitability. Revenue1’s graphical summary dashboards and customized reports allow the practices to follow a high-touch approach to full accountability and total visibility. For instance, Lumberton, North Carolina-based Med1 EMS (a pre-hospital level medical services provider specializing in ambulance transport) leveraged MD1’s RCM solution to streamline their primary and secondary insurance reimbursement processes and manage their entire revenue cycle. MD1’s RCM solution integrated seamlessly with Med1’s existing EMS patient charting system and allowed them to focus on transporting the patients while maximizing insurance reimbursements and minimizing collections headaches. To ensure accurate coding claims processing, and revenue generation from patient encounters, Revenue1 efficiently captures codes and associated charges from Practice Management (PM) and Electronic Health Record (EHR) systems. Seamlessly integrable with external PM and EHR systems, Revenue1 provides updates to them via electronic interfaces. Additionally, Revenue1 allows information exchange via industry-standard integration protocols and leverages the robust RCM analysis tools to offer complete visibility into the revenue cycle. “We also have a velocity indicator to tell us how fast the payments are coming into the system so that the administration can see all of that and the care provider can start the documentation process related to the patient’s care,” states Kyle Taylor, CTO of MD1. MD1’s cloud-based RCM technology is a result of their extensive collaboration with clinicians and can be accessed on any mobile device from anywhere and anytime. Having taken a lot of input from different specialties including the geriatric practice, MD1 has diligently put the content in place for the providers to be able to document what they need and when they need it. Going forth, MD1’s immediate focus is on expanding their presence across the U.S. Also, the firm wants to extend their range of clinical practice management solutions by adding HR backup support capabilities for onboarding and off-boarding. MD1 is also keen on adding “trouble ticket databases” of terminologies which would enable them to internally and externally track issues for clients. With plans to bring in a telemedicine component into their repertoire of healthcare solutions, MD1 is poised to phenomenally boost their reach to the medical fraternity and help them serve their patients better.